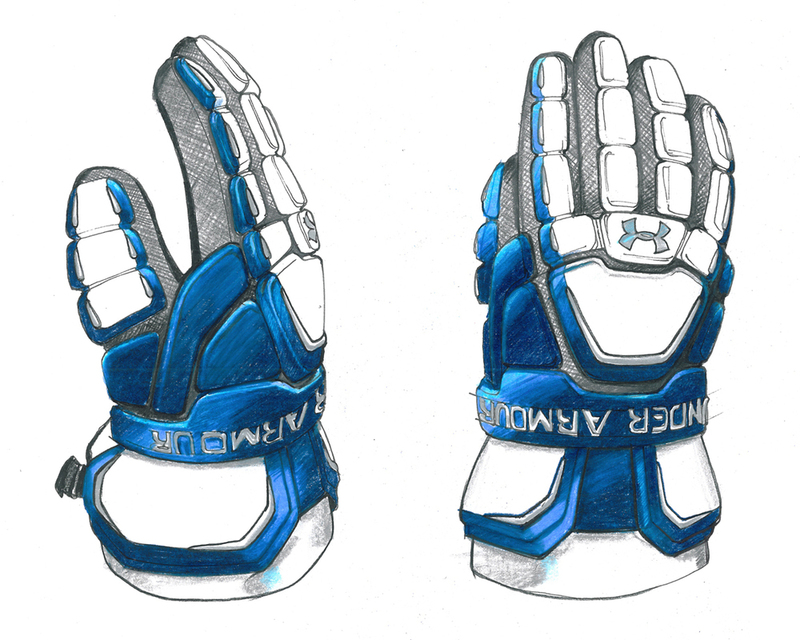 Under Armour Lacrosse — Brownlie Design, Inc.
Tasked with redefining the next generation of Under Armour Lacrosse gear, lacrosse legend Paul Gait and 22 Lax came to Brownlie Design looking for ideas that would extend Under Armour's appeal to a younger demographic. Competitive analysis, trend studies, and brainstorming sessions fed into concept development, where three separate visual strategies were identified. 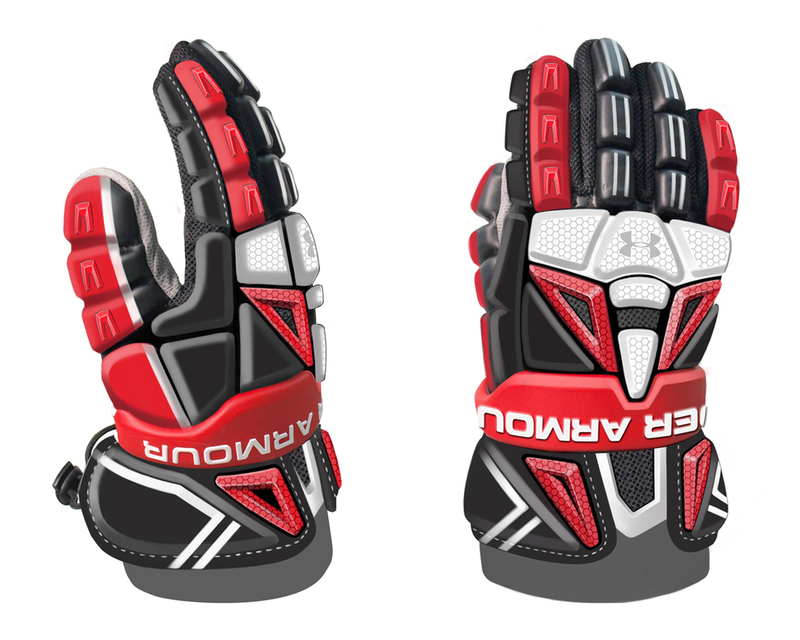 In addition to redefining the brand's aesthetic vision, Brownlie Design was challenged to incorporate cutting edge molding technologies and manufacturing processes to further differentiate the new equipment from competitors. 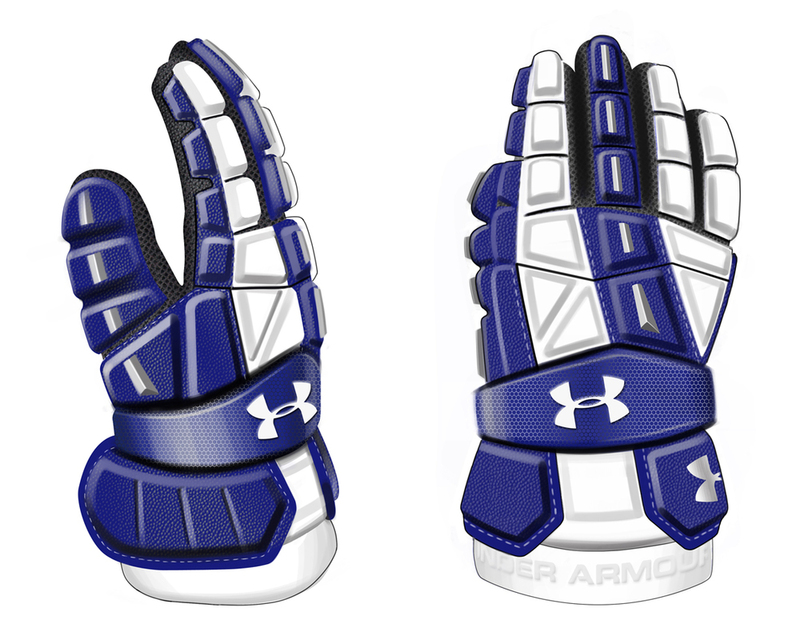 The resulting effort culminated in the Charge line of advanced, high-performance grade lacrosse products, including gloves, arm pads, and upper body protective gear.The National Lacrosse League selected Under Armour to be the exclusive supplier of gloves and other protective equipment and apparel through the 2016 season.